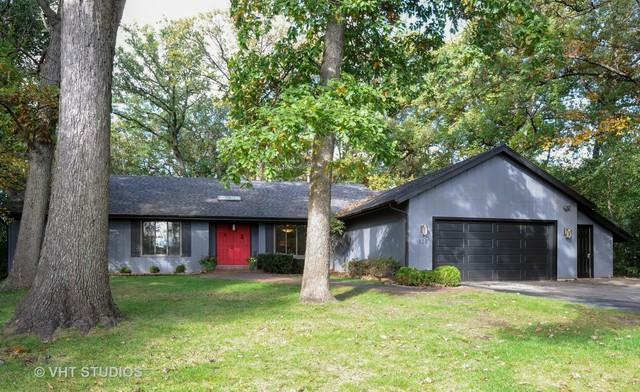 Serenity surrounds this OPEN FLOOR PLAN RANCH on a ONE ACRE HEAVILY WOODED lot. 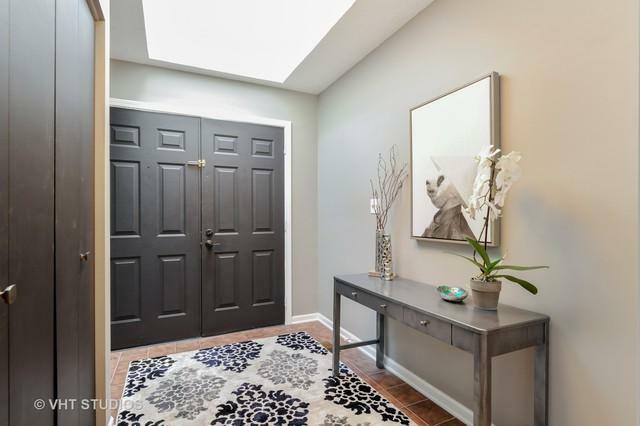 Enter home through skylight lite foyer that has a view of expansive 2 STORY LIVING ROOM with gas fireplace. Beautiful Bamboo HARDWOOD FLOORS throughout except bedrooms. PARTIAL BASEMENT has FAMILY ROOM plus for additional large unfinished portion with so much potential but for now lots of storage. Large THREE SEASON ROOM leads to a well maintained SUPER-SIZE DECK for entertaining or relaxation. Deck can also be accessed through Master Bedroom and 3rd Bedroom. 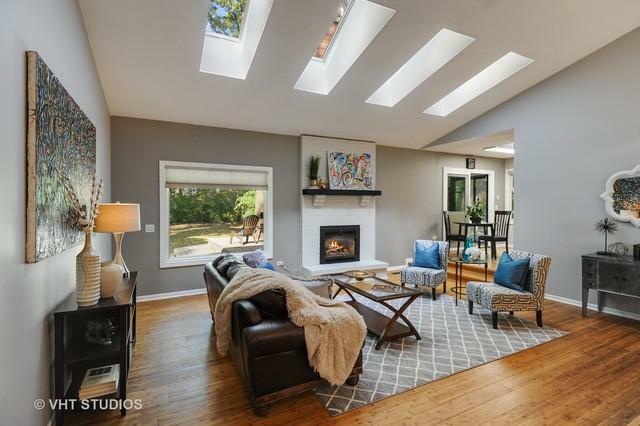 GARAGE HAS BEEN EXPANDED add a large working space with natural light from skylights above. 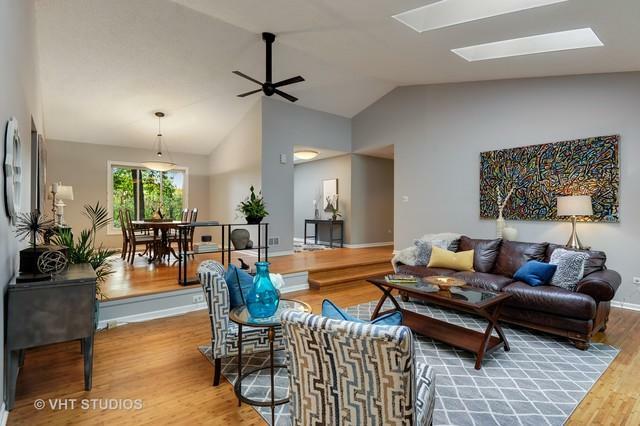 QUICK ACCESS to tollway, down the street from elementary school and just a couple miles from shopping, dining and METRA TRAIN in downtown Libertyville. Offering WHOLE HOUSE WARRANTY.